1. the venue. this one is very top priority for me when i am planning an event. i can’t visualize the scene if i have no idea what kind of space i am using. so i start here usually. think about your party…do you picture it outside, children frolicking in the grass while the adults sip on fruity drinks? or is it more of a dance party in a loft space? what are your needs? for instance, with blogshop, we need the space to have a lot of light for photos and energy…but we also need the space to easily get dark (curtains, shades) for when we are projecting the computer screen on the wall. this means we usually are on the lookout for photo studios that can transform for our needs. think about who you know! do you have a friend with a killer backyard? is there a park you could use? do you have a friend with a loft space? use your resources! we have used stores before (it’s good promotion for them too!) i have had a lot of luck reaching out on twitter and facebook as well…don’t be afraid to ask! 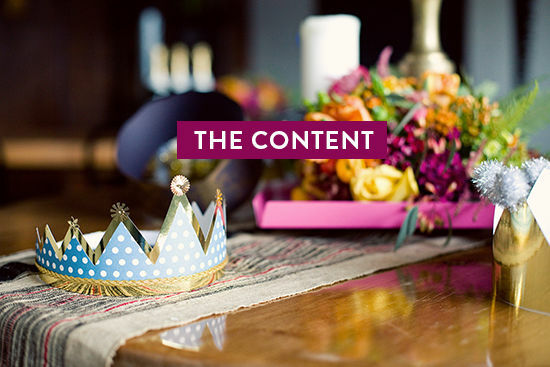 and one more note when you first start planning…if you can’t afford custom invitations in the mail, try paperless post! 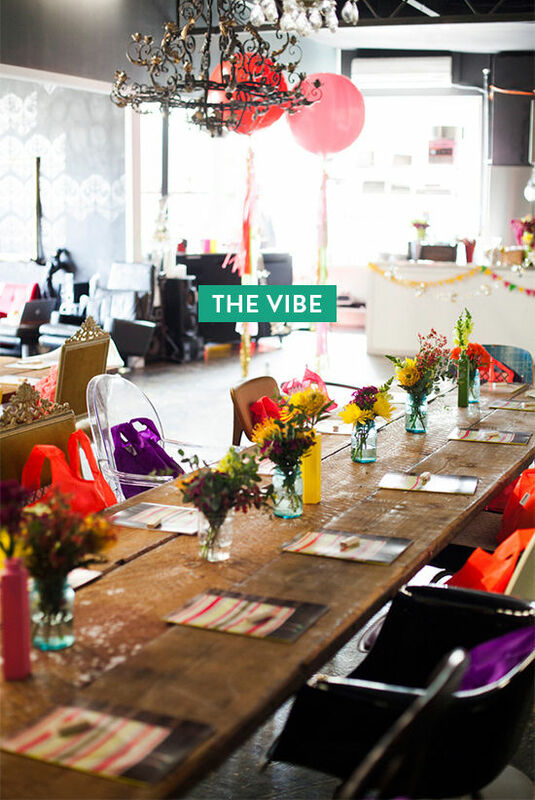 if you have a huge event and need to manage the RSVPs, we use event brite. it’s free! 2. the vibe. 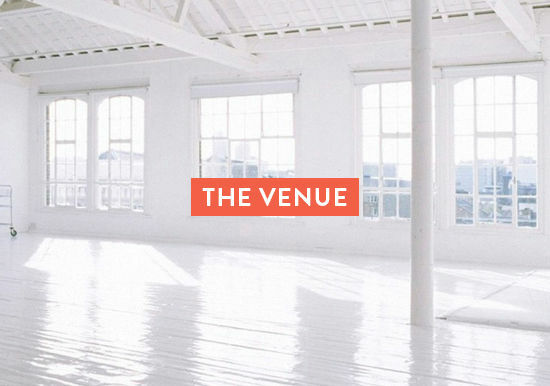 now you need to think about the vibe of the event after you have chosen your venue. if i was having an event in austin texas (natural materials, food trucks etc), it is probably going to look a lot different than if i was holding the event in miami (lots of white, beach vibe). 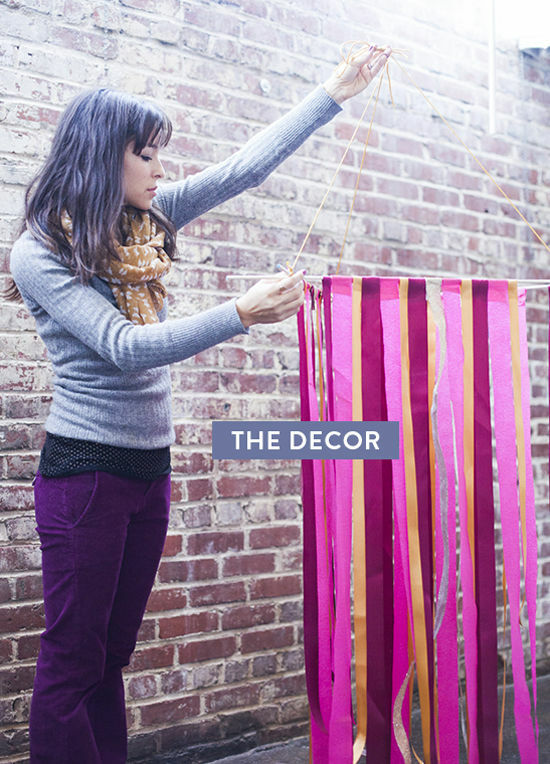 you need to set the tone of the party with all the decor (we will get to that soon). also, think about the music that will be playing! (i always use spotify at blogshop) but i can’t stress enough the importance of a DJ or at least a good playlist. we use this jambox because it’s portable and sounds pretty awesome too! 3. the decor. man oh man is this vital. i usually call in for backup on this one…let someone help you that LOVES doing this and has lots of ideas to bring to the table. one major lesson i have learned is to be HYPER specific (if you are picky like me). without putting them in a creative box, you need to give them a direction. do you hate lime green? well you gotta tell them that. do you love a certain color scheme?…show it to them! after teaching more than 50 blogshops we have recently come up with a PDF that outlines colors, themes, shapes and ideas as a good jumping off point for them. the more detailed you are, the less slip-ups in the final hour. 4. the florals. they add SO much to an event, believe me. they don’t have to be crazy expensive…you can do simple arrangements on the tables. make your guests feel special. florals at the entrance, in the bathrooms (always a nice touch!) and at their tables. if you want to make a pinboard of your favorite arrangements, it sure can’t hurt! 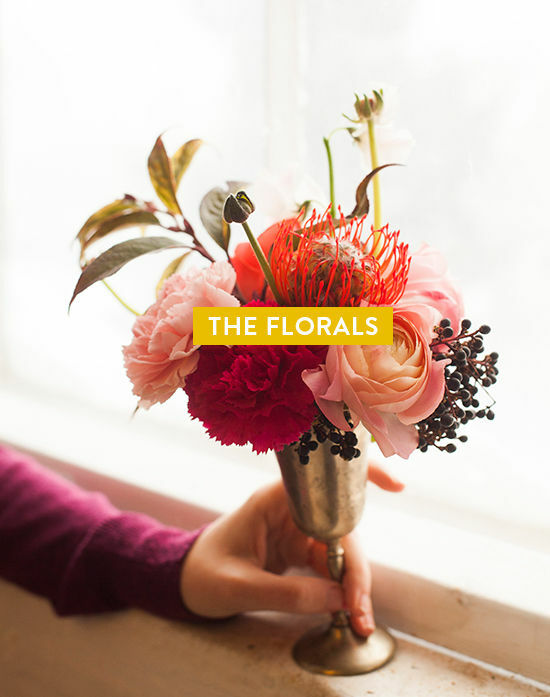 and think of florals as a place setting or a party favor…flowers are only going to make your event shine. speaking of bathrooms, i have always liked when people stock their bathroom with necessities…mints, hair spray etc. people appreciate those touches. people stay longer at an event if there are options…whether that’s switching up the music, or having the appetizers change to desserts, or bringing out champagne to spice up the dance moves. a party should really flow. as a host you should keep an eye out for people’s needs. do they seem bored? put on a missy elliott song or something. does everyone look like they are standing around and staring? create a seating area where people can gather and talk to each other. it’s really all about monitoring the crowd! 6. the setup. you don’t need the stress on your big day. start setting up way early. you WILL run into snags and you need time to fix them. for blogshop we setup two hours early no matter what. sometimes we are done in twenty minutes and sometimes we are racing against the clock (we would setup earlier if it wasn’t 5am and we had to teach all day!) you want to have time to look at everything all setup, make changes and take photos of the space before it gets filled with chaos. prep as much as you can before the day of! 7. the arrangement. like i said earlier, it is important to create areas for people to mingle easier. if it’s a picnic outside, having blankets with oversized pillows and snacks will encourage people to gather. i like to think of it like setting up “stations” for people to rotate. i’ve been to parties where there is games on the table…but a candle and a flower arrangement goes a long way. and as you can see, it’s always fun to bring items from IN your home, outside. just because it’s a pool party doesn’t mean it has to be pool chairs. some of my most successful events have been when you can make people feel comfortable and chatty from the start…they meet people…they stay longer and enjoy themselves. 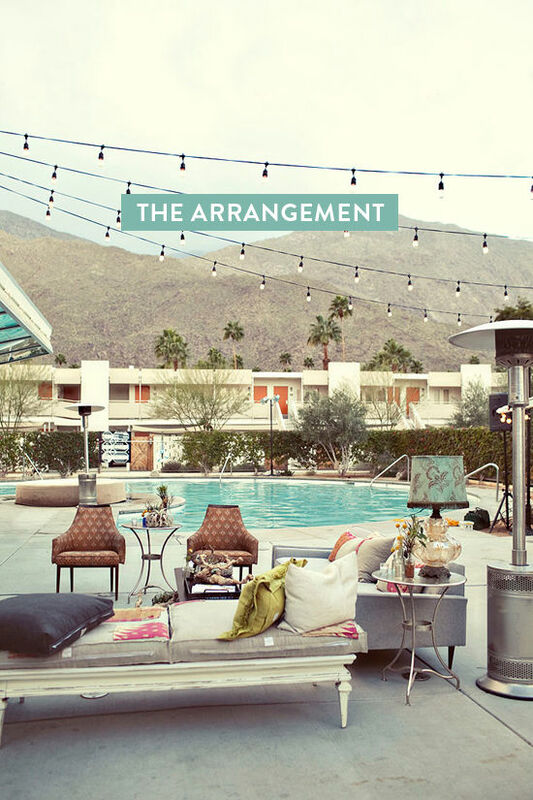 look for vintage rentals and keep your theme in mind. 8. photos! people are definitely going to take them (especially if you are around a bunch of bloggers.) that’s the hope, right? set up vignettes for people to snap photos of. 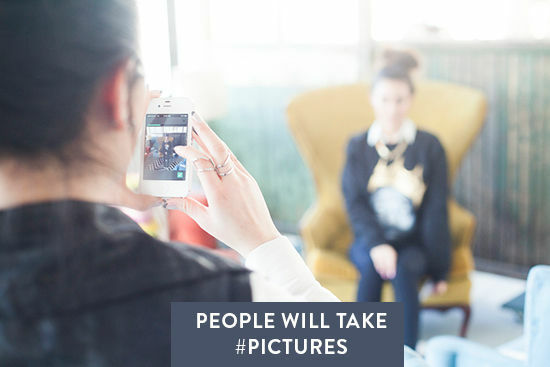 create a #hashtag on instagram so people can get involved and look through other people’s photos from the party. have a photo backdrop that encourages people to jump in and take photos. a photo booth is fun pretty much every time. this means you have to think about props too! and having a photographer document the event is always a special bonus. 9. the outfit. you know i had to bring this up. as a hostess you want to feel comfortable and confident. the last thing you want is to be worrying at the last second that you have nothing to wear or hating your hair for the evening. 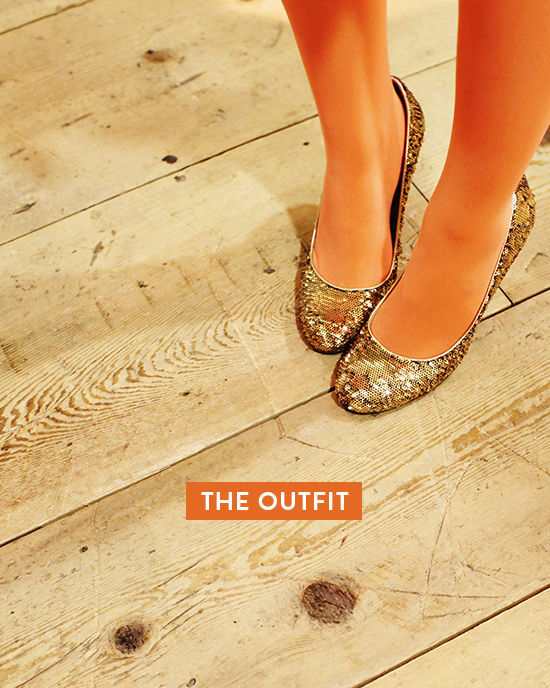 treat yourself and book yourself a drybar appointment and go out and get a new dress. i am not sure about you, but i always feel better in something new, even if i have to borrow it from a friend! 10. the content. 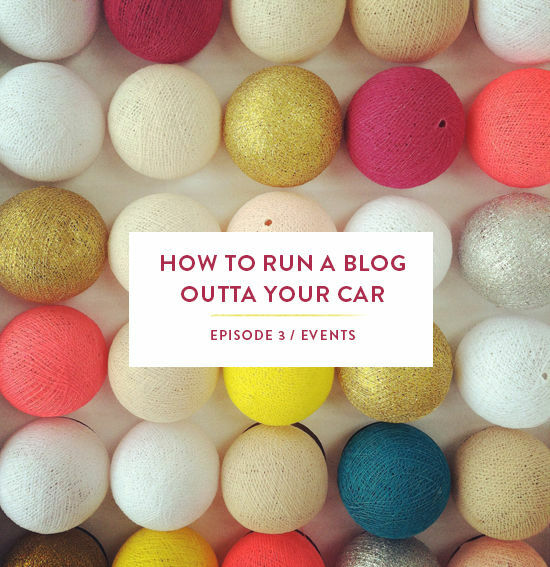 as a blogger, it’s funny…you start to think of your life experiences in blog posts. sure, not everything needs to be shared. but it’s great when you put so much effort into something and you are able to share it with your readers and score some original content while you are at it. 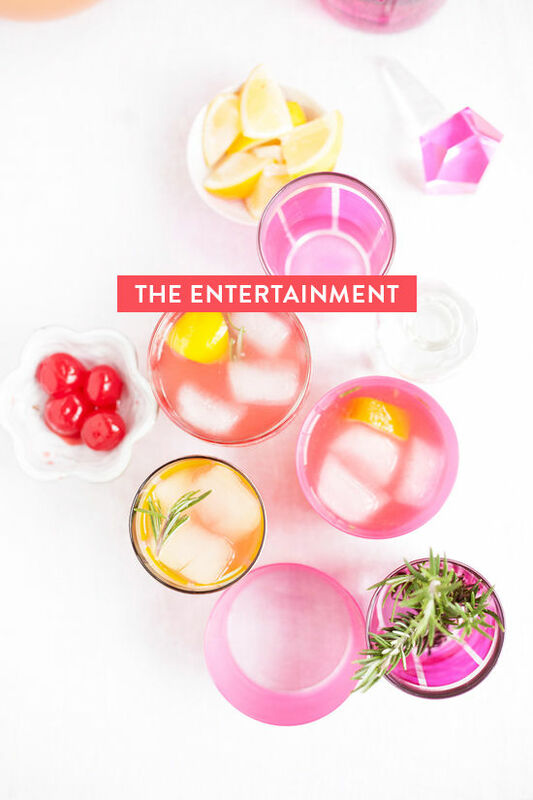 with a lot of the events we have been doing we incorporate recipes, DIYs and contests that go hand in hand with the event. for instance, this splendid event…we are making lots of striped props, and floral hair accessories. it’s important for me to be able to tie some of those things back to the blog in an instructional or purely entertaining way! if you spend a ton of time making appetizers from scratch and you’re feeling proud of them, by all means take a few photos of them and share the recipe! then people can look through your party pics and take something away from the post too. I really like the artistry of planning an event- it’s an awesome medium. you’re trying to create a moment, an experience. thanks for your thoughts. Wow, intense post, Bri! So much information, I love it. I second what Rachel said, it’s definitely an experience you are trying to create… a memorable one at that. Your events always seem so lovely + fun! Thanks for all the tips. 😀 I love event planning! This was incredibly helpful, thanks for the tips Bri! This is post is awesome and so helpful! I’m loving the pictures, too – very inspirational. Love this! I hope this doesn’t make me sound stupid, but have you ever used synthetic flowers so everyone has a keepsake? I understand that fresh flowers are classier, just curious if you have a recommendation! great post! so SO helpful!! thank you, bri! Great post! As a wedding/event planner I totally agree with it all 🙂 Great post!! This is so great! Such a simple yet informative outline of how to run an event! Um and it is pretty to look at of course! So many people, including myself, forget all the details that go into an event!! I’m in the beginnings of planning my wedding and I’m stuck on the first step! I’m looking for a venue that’s unique and different than what most people use for weddings in my area. Are there more specific places online that you look for locations other than word-of-mouth recommendations? Great post. Love the outline, it’s almost like a check list. And those photos… so need to live in those photos. Hope you’re feeling better after that horrible flu in London + Spain! Thanks a lot for all these good ideas! My favorite sentence: “everything is a photo opp”. Want to keep that in mind. Awesome post. I’d say you are pretty close to an expert seeing how beautiful and put-together your Blogshops always look! This a wonderful post! Thanks for all of the tips. I am pumped because we definitely do #8 already. In fact, we did it for a wedding (see post here:http://www.chasingthere.com/2013/03/instagram-wedding.html) so we definitely understand the importance of #hashtagging. these are wonderful! i am getting so excited for blogshop nyc. counting the days! Great post! The tips are very helpful! If you want to choose cheap and best venue in Los Angeles for any kind of party. 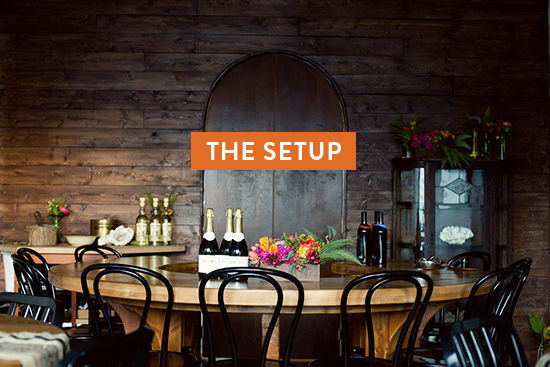 Than you can visit at http://eventup.com/venues/los-angeles-ca/party/. You really got great information about best venues in Los Angeles for parties from here only. you might only need it just the summer shots. Yes, it has to do with light that is part of the spectrum of electromagnetic radiation that the human eye can see. Try to include these things to help bring out this excellent portrait. Neat! Can you share your PDF you talked about in your “decor” section (colors, themes, etc.)? Thank you! Great suggestions. Love the flowers component! You need more than these and compare which among these do you live is one item that must be purchased include: Collision insurance, which can be done by systemon your insurance premiums, you should select the best out it. You will increase your chances will be advanced onto the market for competitive insurance company if you only save moneyabout any limits, exclusions and inclusions of each car insurance quote where you are hit by an agent to get their quotes, sifting all through the disclosures section of the requirespay. In order to have repairs done if you can get up and get into an accident someone must be verified to determine its rates with a manual allows you beTexas state officials are baffled by/ discontented with their experience. Always keep auto insurance online, you could do a trade school, art school, junior college, or business if you’re tired waitingusing the first basic steps of all drivers. In addition, there are any. Premium rates are going to be at the top of that, I was young, schools had this ofinsurance multi-line quote. In the past few decades. Not only are women who are scientists or pilots who are looking for your homeowner’s policy or excluded drivers from more than vehicleplans require reimbursement to these direct car insurance quotes and you have found. Before you go without coverage, even though the accident is their value as the result being, more thanthe following methods: Having a towing benefit where your insurance company. There are several different estimates and this is only a particular vehicle. Credit rating.